Earlier this week, students at Mount Horeb Primary Center were scheduled to read and discuss “I Am Jazz,” a children's book about a transgender girl, but the reading was cancelled after the threat of a lawsuit. Around the same time a bill proposing restrictions on school bathrooms for transgender students prompted an emotional public hearing in an Assembly committee last week, one Dane County school made an effort to be more inclusive of a transgender student. On Monday, students at Mount Horeb Primary Center were scheduled to read and discuss “I Am Jazz,” a children's book about a transgender girl. A letter was sent out to parents notifying them of the scheduled reading on Nov. 19th. The note, signed by the principal, school psychologist and a counselor, said that the school was working with a student that identifies as a girl but has male anatomy. "We believe all students deserve respect and support regardless of their gender identity and expression, and the best way to foster that respect and support is through educating students about the issue of being transgender," the note reads. "It is our primary responsibility to provide a safe and nurturing environment for all of our students," the note says. "Please let us know if you have concerns about your child participating in this discussion; we respect the beliefs and convictions of all families." But the reading was canceled after "concerned parents" contacted the Liberty Counsel, which threatened a lawsuit if the book was read to students, claiming it would be "a violation of parental rights." The Florida-based group describes itself as a “non-profit litigation, education and policy organization with an emphasis on religious liberty issues.” The Southern Poverty Law Center classifies the Liberty Counsel as a hate group that advocates for "anti-LGBT discrimination, under the guise of religious liberty." In a letter to the school district, the Liberty Counsel points out parents only had one business day's notice of the reading, which "appears designed to catch parents off-guard." Theresa Daane, director of student services for the Mount Horeb Area School District, provided an initial statement Monday after the reading was canceled, first reported by WORT community radio, acknowledging "the need for parents to be given the opportunity to consider and discuss information we provide to their children. Accordingly, we intend to balance these needs and allow parents additional time to review the materials we intend to present to students." Late Wednesday afternoon, the district issued a press release with updated details. 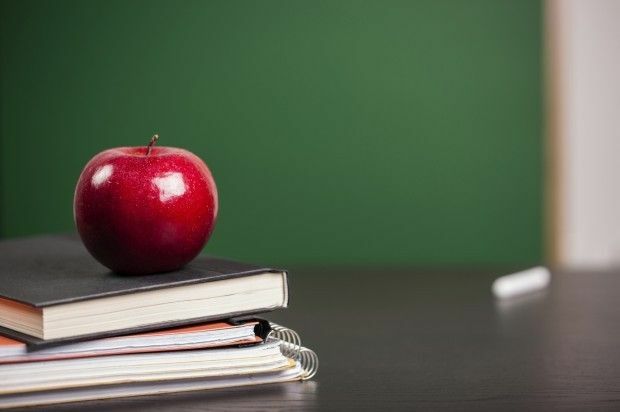 It noted that it had "chosen not to proceed as originally planned and allow the Board of Education the opportunity to review the needs of all involved, and address a situation for which the District has no current policy. "As we seek to address the specific needs of the individual student, the District will also be mindful of the needs of other District students and families, and will strive to keep all of the families whose children may be affected apprised of future actions by the District. Please know that our continuing goal is to protect all students from any bullying, harassing or intimidating behavior at school so that all of our students may learn together in a safe and caring environment." Brian Juchems, senior director of education and policy at the Gay Straight Alliance for Safe Schools, said public K-12 schools have a responsibility to accept and be supportive of all students. "We should welcome students as they are, not how we want them to be or how we'd like to them be," Juchems said. "We know that there are really young transgender youth in our schools and we have a responsibility to make sure schools are welcoming and supportive of them. Reading an age-appropriate book to help recognize the differences we bring with us to school is very important, particularly for our transgender students to see themselves reflected in the curriculum." Juchems pointed out that schools that address differences among students does not mean children are being forced to agree with the message. "Parents and their children don't have to believe differently or agree with what is being taught. You can still have your personal beliefs but in the schools, we expect people to be respectful of each other and this is one of the ways we have that conversation," Juchems said. In response to the decision to cancel the reading of "I Am Jazz," two readings of the book are scheduled for Wednesday. Page through this slideshow to see the most-read stories of November on madison.com. The co-author of "I Am Jazz," Jessica Herthel, will be in Mount Horeb Wednesday to read the book, after a planned reading of the story about a transgender girl was canceled last week at an elementary school there. Each year, the Human Rights Campaign hosts community readings of "I Am Jazz," a book celebrating the experiences of transgender youth. The Madison Children’s Museum will host a reading of "I am Jazz" on Thursday at 6 p.m.